Chapman offered no substantiation of those "official" charges from Israel. 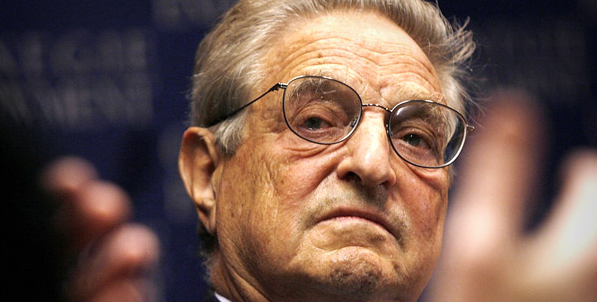 He also did not concede that at least some attacks on Soros are very much anti-Semitic, specifically the oft-repeated false right-wing slur that a teenage Soros was a Nazi sympathizer during World War II. (Not to mention the anti-Semitic imagery Chapman's employer, the Media Reserach Center, has used to portray Soros as a "puppet master"). Chapman then recounts an incident in which "Israel's ambassador to Hungary criticized a government-funded billboard campaign that showed a photo of Soros and stated, 'Let's not allow Soros to have the last laugh.'" which was "deemed anti-Semitic by some organizations, including the Soros-backed Human Rights Watch," followed by Israeli officials backtracking by insisting that "In no way was the statement meant to delegitimize criticism of George Soros." Chapman then touted a "letter to the World Jewish Congress" in which "Hungary's Prime Minister Viktor Orban wrote that the Open Society Foundation and Soros 'bear personal responsibility for the growth of anti-Semitism in Europe. They have brought people to Europe -- among migrants -- whose political and religious views have dramatically increased the vulnerability of our Jewish communities.'" This was followed by noting that Israeli Prime Minister Benjamin Netanyahu "has praised Hungary's Orban as a 'true friend of Israel,' a leader who has fought against anti-Semitism and supported the Jewish state." But Chapman didn't mention that the Voice of America article from which he sourced Netanyahu's praise of Israel also pointed out that "Orban evoked anti-Semitic language in denouncing Soros, saying that Hungary's enemies 'do not believe in work, but speculate with money; they have no homeland, but feel that the whole world is theirs,'" remarks that met with "global Jewish condemnation." Voice of America also cited one member of an Israeli opposition party as stating that ""Netanyahu has a thing with anti-Semitic leaders around the world, from Hungary and Poland, to the head of the Philippines, (Rodrigo) Duterte, who compared himself to Hitler, and instead of suffering condemnation, was invited as well for a state visit with the prime minister of Israel." You might recall that CNS just loves the right-wing authoritarian Orban, whitewashing him as a "populist" who's merely trying to "reintroduce the Judeo-Christian ethic into a secularized Europe."